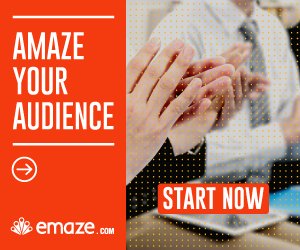 Emaze is an online presentation tool that allows you to create easily stunning presentations without any design or technical knowledge. In this tutorial, you are going to learn how to create amazing Emaze presentations with simple 7 steps. Let’s start ! The way to investor pocket starts with a good presentation…if you want to create a pitch deck or to improve it, you don’t have to be worried anymore. In this page, I’m going to show you a small collection of the top presentations on celebrities. stardust in Emaze presentation is in front your eyes.